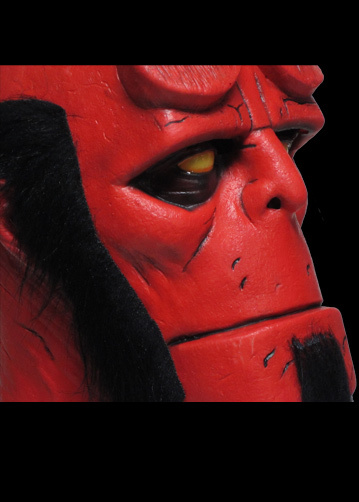 Sculpted by Justin Mabry, Dark Horse Comics is proud to bring you the first ever Hellboy Halloween Mask based on Mike MignolaÐ²Ð‚â„¢s amazing comic book. Hellboy, a well-meaning demon whose true name is Anung Un Rama, was summoned from Hell to Earth as an infant on December 23, 1944 by Nazi occultists. He was discovered by the Allied Forces; amongst them, Professor Trevor Bruttenholm, who formed the United States Bureau for Paranormal Research and Defense. 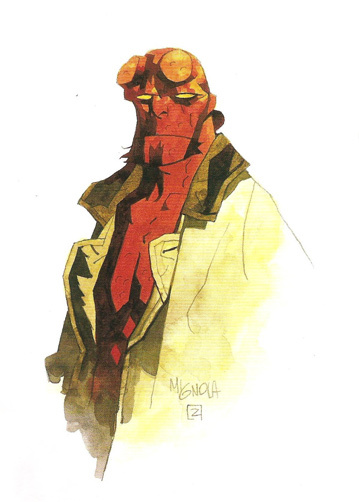 In time Hellboy grew to be a large, red-skinned demon with a tail, horns, which he files off, leaving behind the signature circular stumps on his forehead, cloven hooves for feet, and an oversized right hand made of stone. Although a bit gruff, he shows none of the malevolence thought to be intrinsic to demons, and works with other strange creatures in the BPRD. This is said to be because of his upbringing under Professor Bruttenholm, who raised him as a normal boy. 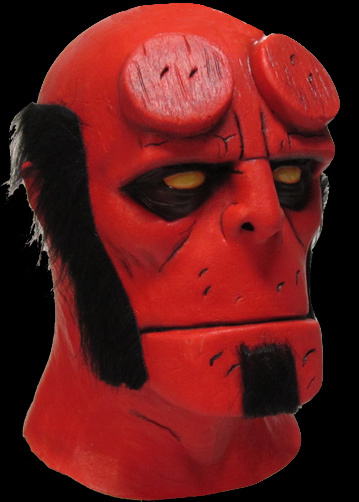 Now you can dress up as Hellboy this Halloween and be World's Greatest Paranormal Investigator. 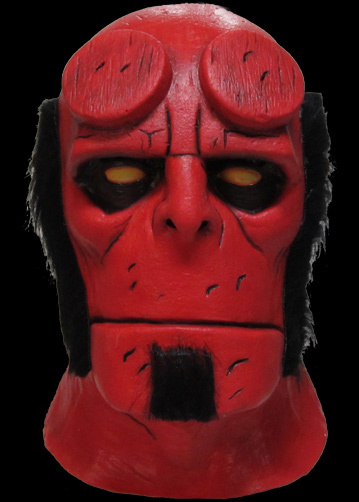 What you see is what you get with this mask - an incredible likeness! A little hard to breathe in, but the holes could be adjusted. Truly faithful to Mignola's vision.